We love it when you share your wish list with us of new Pathway features that could make your day-to-day marketing and outreach flow more smoothly. We promise, we don’t just throw your ideas into a comment box that never sees the light of day. Nope. We roll up our sleeves and get busy mapping out plans to give you the features you crave. 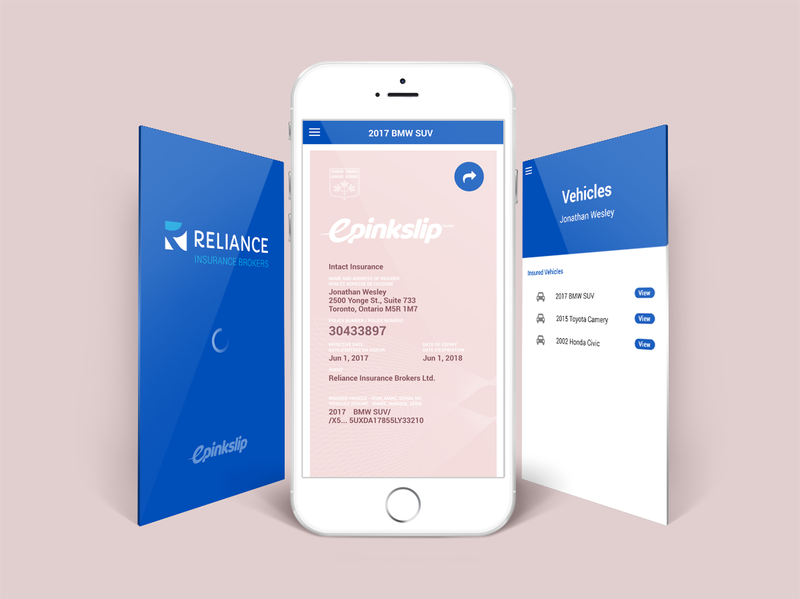 Thanks to our growing team, in the coming weeks, you can expect to see us launch a new mobile app, ePinkSlip, that offers your policyholders on-the-go access to their digital liability cards. You can also expect to hear about several other improvements we have in the works in the next few months. We’ve heard your request for more flexibility within our existing workflows. Our new developers are coding like crazy to make that happen. Some of the changes they are making will allow you to go more granular and customize workflows to meet your brokerage’s unique needs. Here’s a look at some of our team in action. We know how important good analytics are to understanding the success of your marketing outreach efforts and overall policyholder engagement. 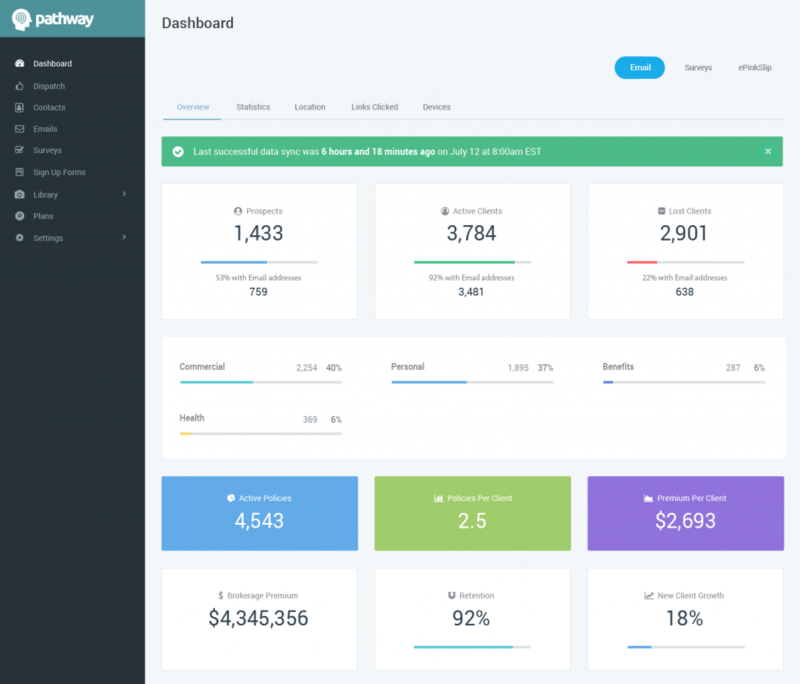 That’s why we’re adding a new dashboard to give you easy-to-navigate data that shows at-a-glance how your emails, newsletters, free download offers, and more are being received by your customers. We haven’t just added developers to our team. We’ve added account managers too! That means more ongoing support and product training for you. Got workflows you haven’t fully implemented yet? Your account manager can help you get them activated. Need training for others on your team? Your account manager can schedule group training to get everyone up and running successfully. As you can see from the improvements we have scheduled, growth is good! We’re committed to making Pathway more robust and user-friendly for you. We think you’ll like the changes we’re cooking up. Stay tuned! Get to Know Our Growing Crew! Follow us on Facebook, Twitter and LinkedIn for fun team updates, Pathway user tips, industry news and more. Today’s on-the-go policyholders want digital access to their pink slips, and finally the Ontario government agrees they should have it. In the 2017 Ontario Budget, the provincial government recently gave drivers the option to use electronic proof of insurance in lieu of keeping printed pink slips tucked away in their glove compartment. Brokerages that have yet to go digital are scrambling fast to keep their tech-savvy policyholders from switching to mobile-friendly brokers. Fortunately, digital platforms like Pathway make it easy for brokers to implement mobile technology quickly and affordably. Need to Get Your Policyholders on the Digital Path? Schedule a demo to see the ePinkSlip app in action.